A subsidiary of Kaneez Developers, Kings Park Gwadar is one of the ten companies engaged in real estate, development, and construction. Helping Kaneez Developers made easy through a challenging environment and aid its growing reputation, Kings Park is expanding its reach all throughout the luxurious Gwadar city port. 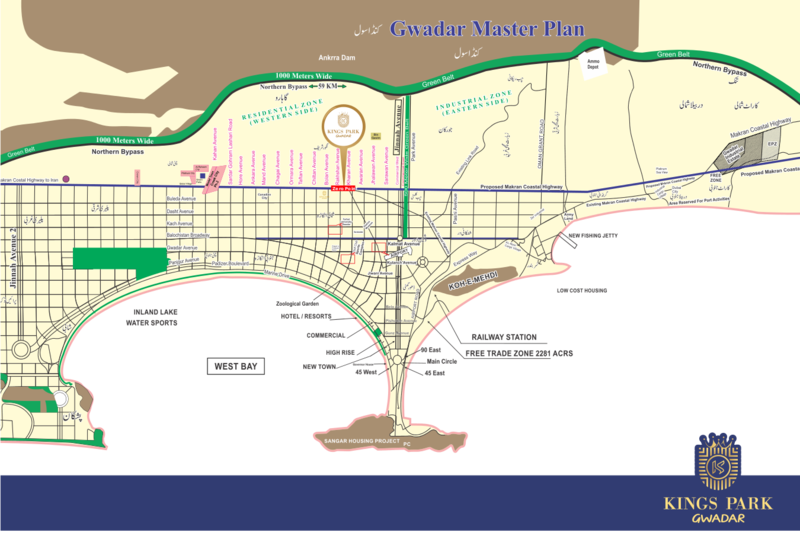 Kings Park Gwadar Offering Residential plots, and Commercial plots, and also provides state of the art facilities, an advanced security system, demarcation of land, GDA "A" Category NOC Approved and suitable payment options for an enjoyable living. With a diverse portfolio of real estate at hand, Kings Park Gwadar deal with tactical acquisitions and state-of-the-art development in Gwadar. Our high-performing integrated team of real estate experts and professionals real estate agents offers nothing less than a full range of acquisition, development, construction. Our real estate agents in Gwadar revolves around quality and sustainability, the key to value-based projects and subsequent success.